Unfortunately, 2014 was a notably bad year for reproductive rights policy in the United States — from the Hobby Lobby case that allowed employers to opt out of covering birth control for their employees due to religious beliefs, to enforced "waiting periods" for women seeking abortions, to multiple proposed "personhood laws" that treated pregnant women as little more than living incubators, the past twelve months have been chock full of attempts to undermine reproductive autonomy for women throughout the U.S.
We're about to finally feed the less-than-progressive events 2014 to the garbage can of history, but before we do that, there's still time to fit in some year-end giving. Think of it as a way to make this year not a total waste — and if you do it ASAP, you can still write it off on your 2014 taxes. And given the year we've just had — and the fact that things don't seem like they're going to be doing that much better in 2015 in terms of reproductive rights policy in this country — you might want to consider giving to one of the reproductive rights and justice charities below. These five non-profits support, advocate for, and defend women's health from legal threats; and they all need your donations to support their on-the-ground work and hands-on activism keeping politicians out of our bodies. For many women, the ability to end a pregnancy comes down to logistics: can I take enough time off work to get the procedure done? Do I have the cash to travel to a potentially distant facility? Can I cover the often-expensive procedure on my own (especially considering that so few insurance companies cover it)? And even if I have all that covered, what about the additional financial burdens created by "waiting periods" — which can cost women who travel to receive abortions hundreds of dollars in lodging? The National Network of Abortion Funds gives money directly to women who seek to end a pregnancy, but can't come up with all the funding to cover the procedure or the associated expenses of travel, lodging, child care, etc. The group also works with a network of other local abortion funds throughout the world that give money directly to women who want an abortion but can't pay for it, so that the choice to continue or end a pregnancy is a choice a woman makes for herself, not one dictated by circumstance. And if you don't have any cash of your own to donate, you can still help by participating in the organization's annual charity bowl-a-thon — which combines the joy of fundraising for reproductive rights with the joy of bowling (I've done it twice and it is both an excellent and important fundraising effort, and a total blast). Now in its fifth decade, the Guttmacher Institute produces studies and surveys that help us get a realistic picture of sexual and reproductive health and behavior in the U.S. and throughout the world. With so many bogus statistics floating around about hot button reproductive rights issues, Guttmacher's methodological rigor makes them a great asset for all reproductive rights advocates — all of their stats are backed up with painstaking research. Their reports — including their annual "fact sheets" that give detailed statistics about sexual health — are used by tons of reproductive rights policy creators throughout the world. Formed in 1997, SisterSong is a collective that works with regional and grassroots organizations throughout the U.S. to advocate for reproductive justice for women of color and indigenous women. Reproductive justice includes much more than just abortion and contraception — it's a theoretical framework that views reproductive issues as social justice and human rights issues. Reproductive justice fights against "reproductive oppression" like forced sterilization; it also defends the rights of pregnant women to bodily autonomy, makes sure that marginalized communities have access to health care, and advocates for reproductive education and services. SisterSong partners with numerous other groups, including Trust Black Women, to support reproductive justice causes, and expand our ideas about what constitute reproductive rights and human rights. 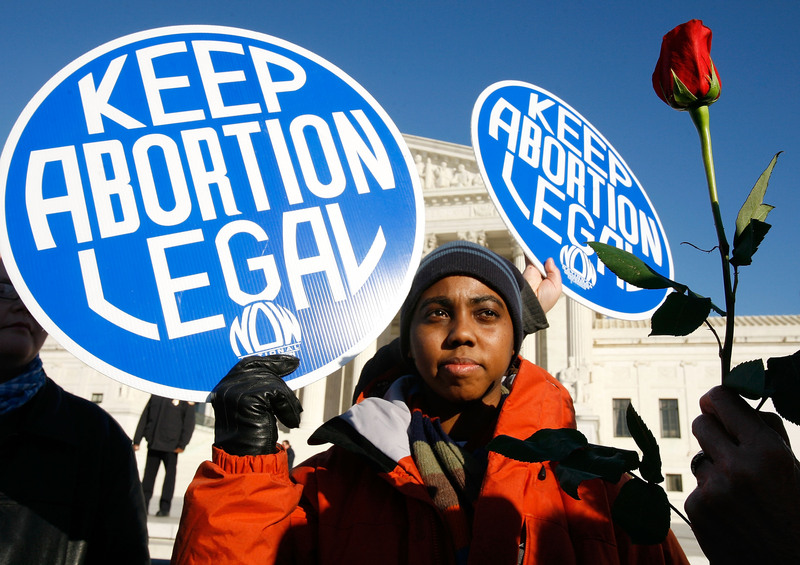 This legal organization is dedicated to defending the reproductive rights of women and men in the U.S. and around the world — including fighting abortion bans, safeguarding the reproductive rights of minors, advocating that the morning after pill be sold over the counter to people of all ages, and supporting the rights of mothers to dignity and autonomy during pregnancy, birth, and beyond. Someone once told me that if every person who had used Planned Parenthood's family planning services once in their life gave them $50 a year, the organization would never have any financial troubles. I don't know if that's true, but as someone who depended on Planned Parenthood for free birth control and health care during my lean years right after college, I give my $50 annually — and if PP helped you out of any similar jams, you might consider doing the same. You donation helps pay for sliding-scale health care, including prenatal care, STI testing, contraception, emergency contraception, and more. And if you don't have enough cash to spare to donate, you can also train to be a clinic defender — one of the volunteers who helps Planned Parenthood patients safely make it past picketers, "sidewalk counselors," and other jerks who like to spend their Saturday morning casually screaming at women who just want some health care.